R10 is still under construction. Even if my prototype is already accessible in my robot room, there is still a lot to be done to make it run perfectly, thus this documentation isn't complete, yet. 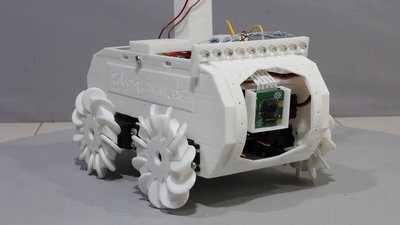 The mechanical parts are 3D printed. Yet, not all parts are designed and those already printed need a redesign. You can get the 3D files as download package. 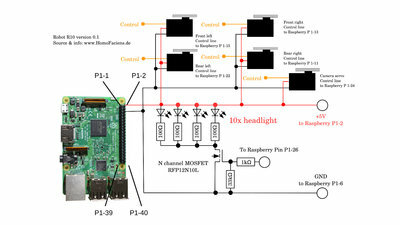 5 Servos, a Raspberry Pi with camera module and headlight LEDs - the electronics is very simple. R10 is driving in my Automuseum. Have a test run and leave a comment.